The restoration and cleaning services that we provide include water damage restoration, fire and smoke damage restoration, mold removal, content cleaning and pack-out, post construction cleaning, hoarding cleaning, and biohazard and trauma scene cleaning. We are also trained to work with insurance agents and adjusters to provide effective assistance through the claims process. Our phone lines are open 24 hours a day at 888-915-8868 to provide a quick response to your restoration emergencies in Truckee, CA. Water damage is a problem that affects almost every home or building at some point because it can be caused by weather factors such as rain, flooding, and humidity as well as internal factors such as burst pipes, leaking fixtures, and other plumbing issues. Sometimes water damage starts out small and is allowed to spread which can lead to major problems. RestorationMaster provides water damage restoration services in Truckee, CA to remove excess water from affected homes and businesses. We have the right drying equipment to remove water and moisture from a building and we will also restore and repair the resulting damage. No disaster causes more fear among homeowners than a house fire because they can very quickly cause devastating damage and put the health and safety of your family at serious risk. Once the flames are put out, the damage can keep spreading as soot, smoke, and corrosive byproducts continue to cause damage that will become irreversible without quick enough action. 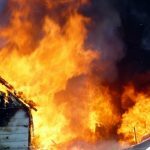 RestorationMaster provides fire and smoke damage restoration services to help homes and businesses that have been affected by a fire in Truckee, CA recover from the damage. We can effectively restore the most delicate household surfaces and structures as well as remove lingering smoke odor. Mold is a normal part of the natural environment and if a home or building has had a problem with water damage or excess humidity, the risk of mold growth increases significantly. Mold spores only need moisture and a food source to form into mold and if it is not removed, it will eventually cause significant damage to the affected surfaces as well as increase potential health risks. RestorationMaster provides mold remediation services for homes and businesses in Truckee, CA. We will thoroughly remove all mold growth from the home or building, repair the damaged surfaces, and take measures to prevent the mold from growing back. When a major disaster causes damage to your home, the damage very often spreads to personal belongings which can make the situation much more difficult to deal with. Mold, fire, smoke, and excess water can all cause considerable damage to a number of personal items and if the content is not cleaned and restored quickly enough, your items can become permanently damaged. RestorationMaster provides content cleaning and pack-out services in Truckee, CA to clean and restore all types of personal belongings that have been damaged in a disaster. We can effectively clean and restore your belongings in your home but if your home is in unstable condition, we can provide pack-out services to clean and store your belongings at our facility. Construction projects are messy and chaotic by nature and usually after a project has been completed in a home or building, the site is not quite ready for use. These projects often create dirt and dust that can spread beyond the site through the rest of the building and it is also common for debris such as nails and screws to be left behind. RestorationMaster provides construction cleaning services in Truckee, CA to clean and restore a construction site after the project has been completed. We can effectively clean up and dirt or dust left in the building as well as make sure all tools and building materials have been removed. Hoarding is a complicated and delicate issue to deal with but it requires immediate attention because hoarding behaviors can lead to very dangerous living conditions. Those that struggle with hoarding collect all types of objects with an inability to throw anything away which causes the hoard of items to grow large enough to increase fire and health risks. RestorationMaster provides hoarding cleaning services to help those in Truckee, CA that struggle with hoarding clean out their homes. We take an honest and compassionate approach that includes establishing a feeling of mutual trust and respect with the individual and we make sure they are an active part of the cleaning process. There are several situations in which you might encounter biohazard materials including trauma and crime scenes that contain blood and bodily fluids, sewage backups, and mold growth among others. Biohazard materials are organic materials that likely contain dangerous toxins and bacteria that can spread infection and disease which is why it is best to have them cleaned up by a certified professional. RestorationMaster provides biohazard and trauma scene cleaning services for any situation involving biohazard materials in Truckee, CA. We have the training and equipment to safely clean and disinfect the area and in situations that involve a major injury or death, we take a discreet and respectful approach to help ease the stress of those who may be grieving.